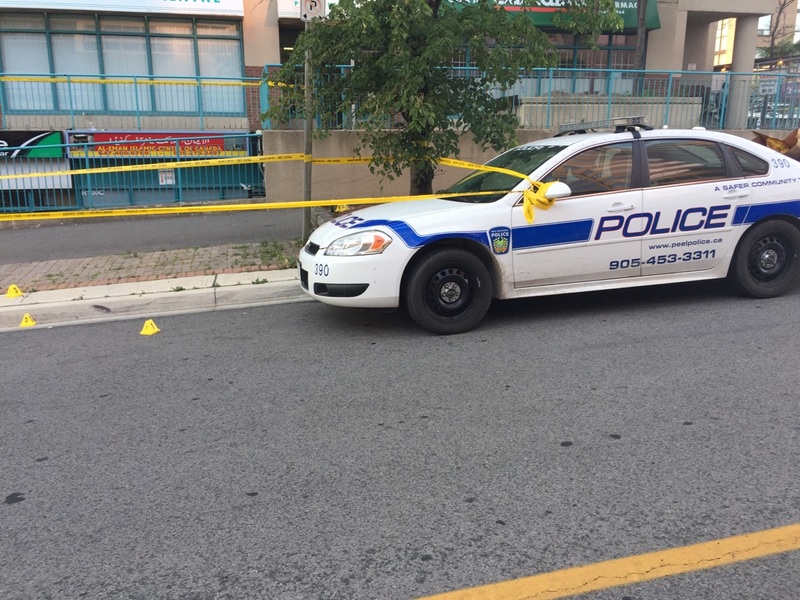 A 27-year-old Brampton man is recovering in hospital after he was shot near Square One overnight and police are searching for a silver Mercedes sedan seen leaving the scene. “We don’t have any specific suspect information,” said Peel Police Const. Mark Fischer. The Mercedes is believed to be involved. Emergency responders were dispatched at 3:19 a.m. to Enfield Place, between Kariya Dr and Sussex Gate, where they found the victim with multiple gunshot wounds. “It was life-threatening at the scene,” said Fischer. Paramedics treated the man before taking him to a Toronto trauma unit where he’s now in serious but stable condition. Police say they don’t believe the victim was leaving &Company Resto Bar when he was shot, however, “a number of people were coming out of there,” said Fischer and may have seen something. swear that's the second shooting in the square one area in the last week? Investigators are also looking into any connections to a July 18 shooting a block away outside of Ruth’s Chris Steak House. Anyone with information about either case is asked to phone (905) 453-2121 ext. 1233 or Crime Stoppers at 1-800-222-8477.